Jan. 11, 2019 | Tom Huizenga -- How do you play an instrument you never physically touch? Watch Carolina Eyck. 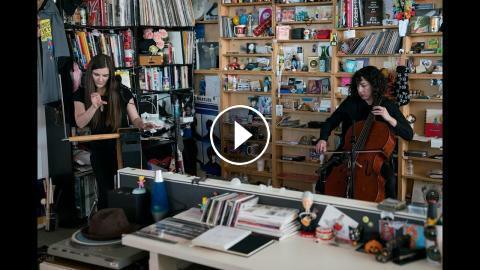 She's the first to bring a theremin to the Tiny Desk. The early electronic instrument with the slithery sound was invented almost 100 years ago by Leon Theremin, a Soviet scientist with a penchant for espionage. It looks like a simple black metal box with a couple of protruding antennae, but to play the theremin like Eyck does, with her lyrical phrasing and precisely "fingered" articulation, takes a special kind of virtuosity.